Borussia Dortmund midfielder Christian Pulisic was inspired by the performances of fellow 19-year-old Kylian Mbappe at the World Cup. Pulisic and the United States failed to qualify for Russia 2018 and were forced to watch at home as an Mbappe-inspired France lifted the trophy. But Pulisic enjoyed the displays of his fellow wonderkid, who hit four goals to be crowned the World Cup's best young player, and took positives from how the competition unfolded. "Seeing what a good tournament he [Mbappe] had, it’s definitely inspiring," Pulisic told Goal. "Obviously I'd love to have been a part of it all myself, but it's cool to see young guys like him doing well on a stage like the World Cup. He was so good. Pulisic's star continues to rise in Germany, where he is approaching 100 Bundesliga appearances for Dortmund, and he has been linked with other European clubs including Liverpool. Liverpool manager Jurgen Klopp brought Pulisic into the first team at Dortmund and the teenager repaid his old boss with a brace as the Bundesliga side downed the Reds 3-1 in the International Champions Cup. 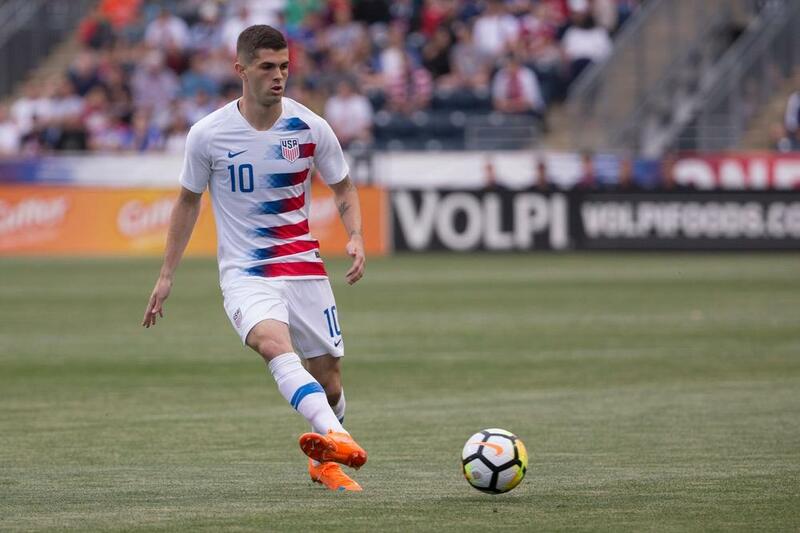 "He was the one who gave me my first professional training session, just to give me a taste of it," Pulisic added.